One of the main advantages of using PHP is its awesome, large and diverse community behind it. The community consists of PHP libraries, frameworks, CMSes and other PHP applications and also great, open minded people that are connected with each other one way or another. PHP User Group (PUG) is virtual or real in-place community consisting of local people participating and organizing PHP conferences and meetings. You can find your local user group at official PHP user groups list which is based on the PHP.ug. 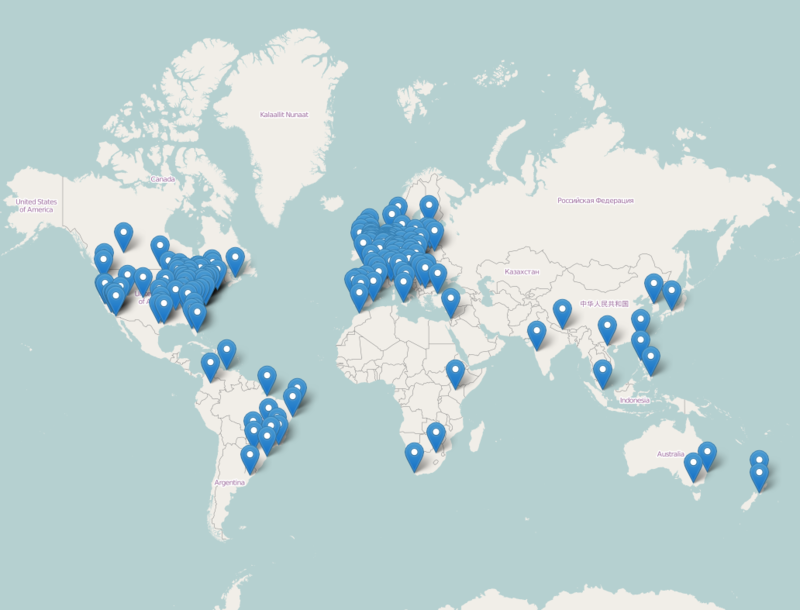 In case there is no local PHP User Group near you, find some friends interested in PHP and start your own local user group. Many meetup and conference organizers use also Meetup for organizing and sharing PHP meetings. Many of the popular PHP Content Management Systems (CMSs) have an active and supportive community, both online and in the real world. Drupal Forum - Online help and support from the Drupal community. Drupal Groups - A place for groups to organize, plan and work on projects, both online and in real world user groups (sometimes called meetups). Joomla Forum - Online help and support from the Joomla community. Joomla User Groups - Search for a local Joomla User Group. They regularly host meetups with talks, ‘clinics’ and networking. WordCamp Central - WordCamps are casual, locally-organized conferences covering everything related to WordPress. WordPress Forum - Online help and support from the WordPress community. Laravel.io - Online help for laravel related issues also shares laravel based jobs. Laracasts- Official Dissusion forum of Laravel. CakePHP Forum - Online help and support from the CakePHP. CakePHP Community - Official CakePHP community on Google+. CodeIgniter Forum - Official discussion CodeIgniter forum. CodeIgniter IRC - CodeIgniter IRC Channel. SensioLabs Connect - SensioLabsConnect is an extensive professional network for Symfony developers.